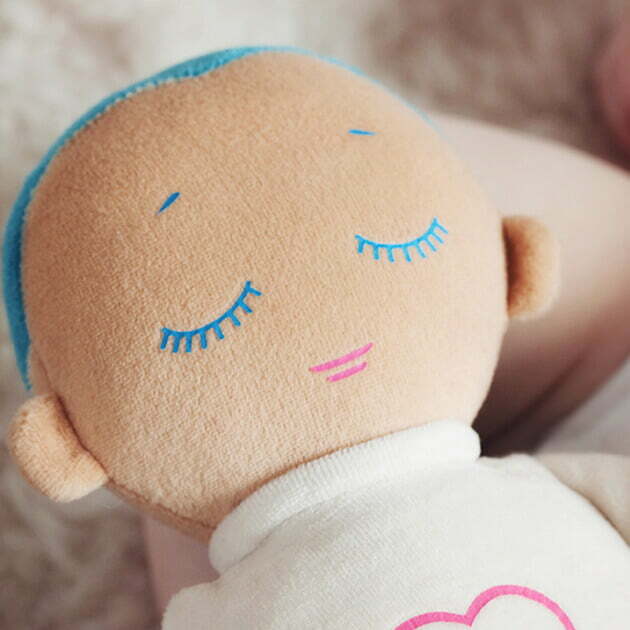 There isn’t a thing that replaces the loving contact of another human BUT.. the Lulla Doll aims to be a very close second best! 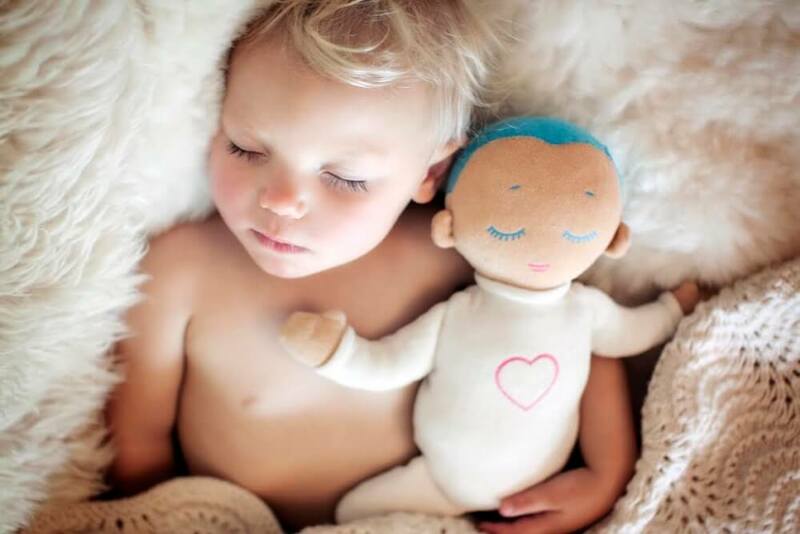 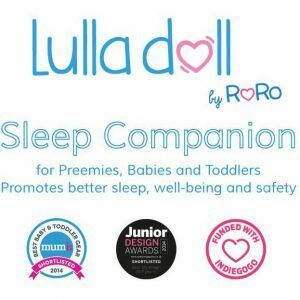 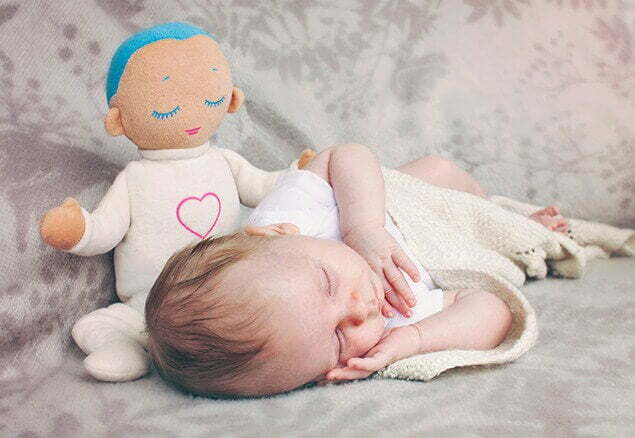 Lulla is a sleep companion for preemies, babies, toddlers and older! 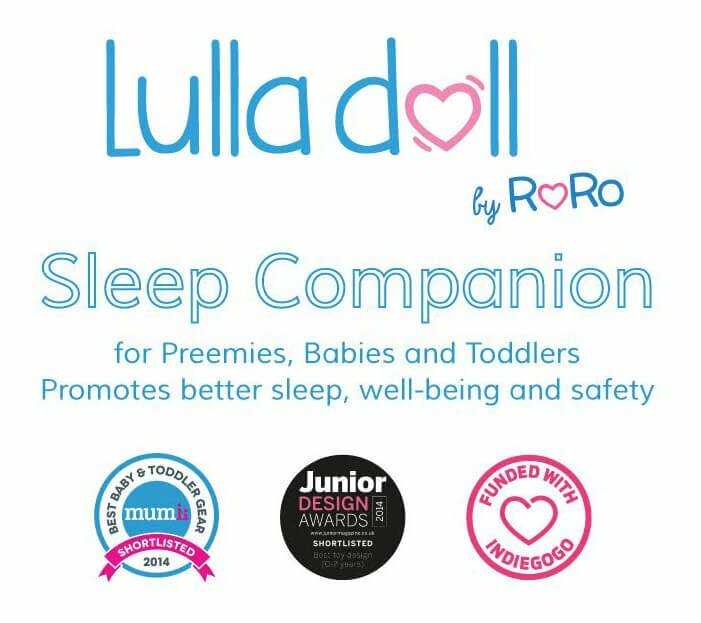 This Lulla Doll has velcro straps to attach safely to the bedding, until your wee one is old enough to cuddle their Lulla Doll. 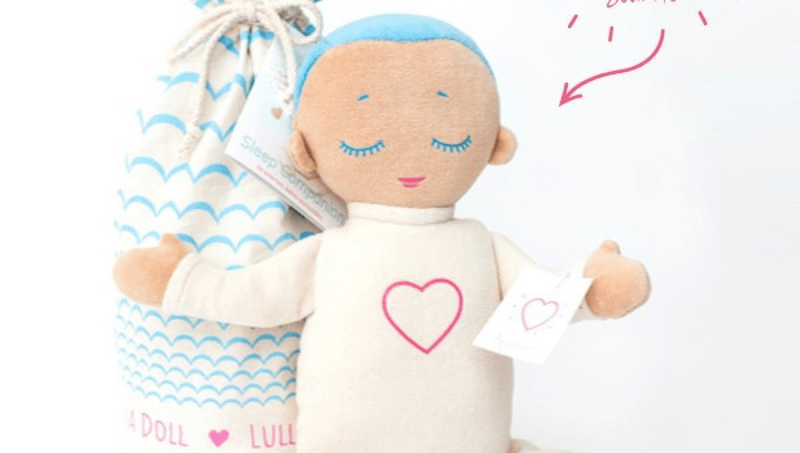 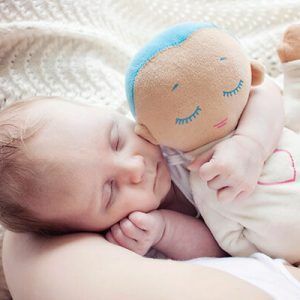 This Lulla Doll plays for 8 straight hours to deliver contentment all through the night. 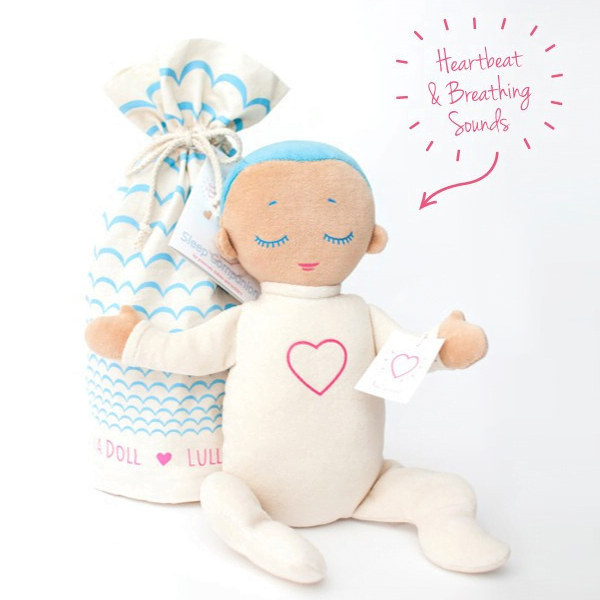 Lulla’s unique design is based on scientific research that shows how closeness, and especially the sounds of heartbeat and breathing can improve safety, sleep and well-being. 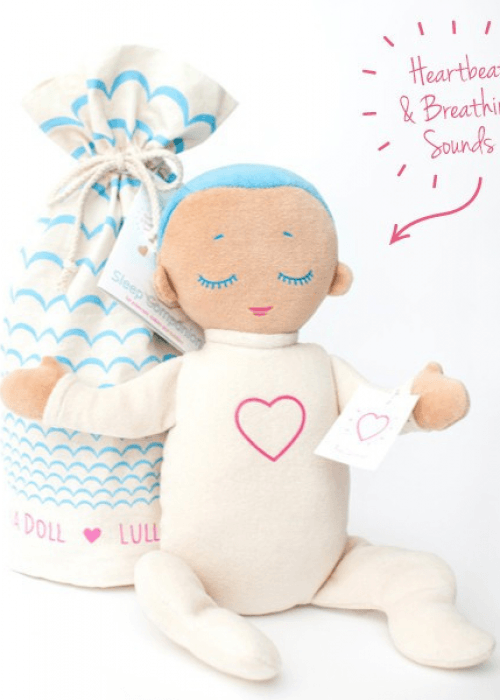 Lulla imitates the closeness that their caregiver would normally have at rest times, with thier soft feel of natural cotton and soothing sounds of real life breathing and heartbeat. 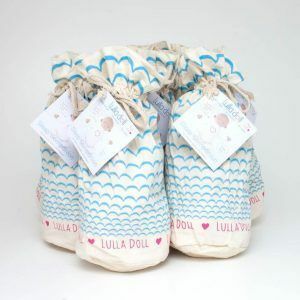 The Lulla Doll Australia comes with batteries for Demo purposes only … please change as soon as possible.